In light of the Christmas season, I’ve decided to post a little extra this month. It should be filled with baked goods and candies, maybe some decorating or projects as well! I’ve decided to participate in Fiesta Friday this week. Jhuls from The Not So Creative Cook invited me to join in on the fun last month, and I’ve been waiting for a good time to begin! This seems like as good a time as any whereas I’ve been so busy throughout the month of November that I haven’t had the chance yet! 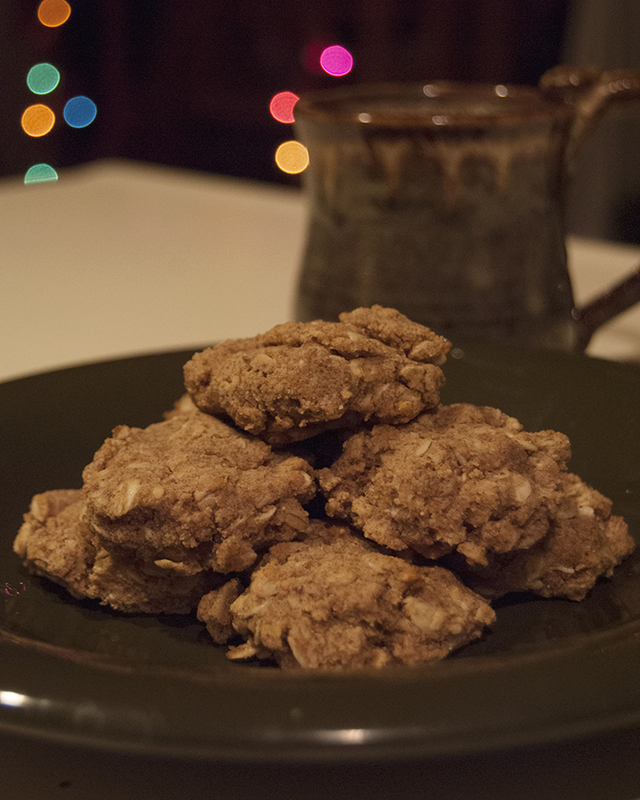 So, in preparation for Fiesta Friday, I made these cinnamon apple cookies last night! Then proceeded to enjoy them with a warm mug of hot chocolate, which made for the perfect cozy evening. The recipe still needs a bit of tweaking, but I’ll be sure to post it after I’ve experimented a bit more! Have a great weekend! I’ll see you Monday, or perhaps a bit sooner on Facebook. Thank you so much! 🙂 Have a wonderful weekend! Welcome to Fiesta Friday, I’m so glad you could join us! Especially with those yummy looking cookies, I can’t wait for the recipe!